Whether you want to transfer or backup WhatsApp data, you can use the Google Drive to do so. Here’s the complete guide to restoring and backup WhatsApp with Google Drive. Just check it out! Nothing is worse than losing some of your great chit-chats with your girlfriend and your most favourite media files from groups on WhatsApp. So, creating the WhatsApp backup would the great idea in a case if you lose those data anyhow. Well, you can backup and restore WhatsApp chat using Google Drive with ease. 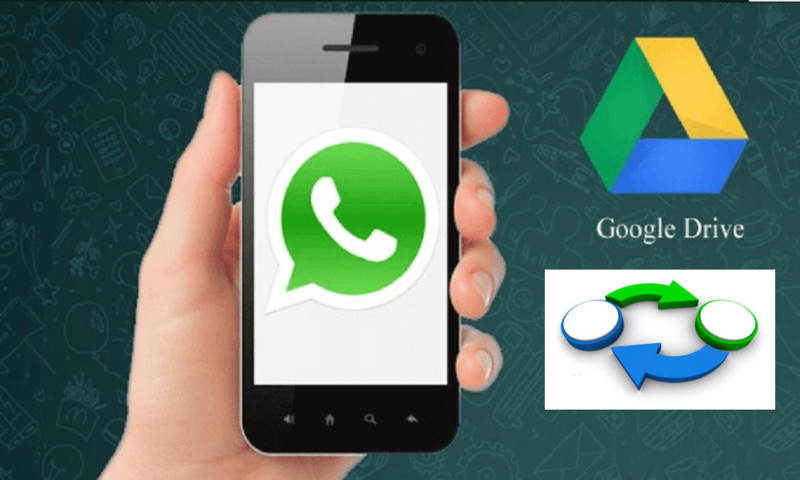 Whether you want backup WhatsApp data or planning to switch from the current device, you can efficiently use Google Drive to backup WhatsApp messages. Hence, you will get every WhatsApp messages and media files on your new phone. If you want to backup WhatsApp on Android, then the Google Drive will help you to do it quickly. In the case of iOS devices, you can use iCloud to backup and restore WhatsApp on iPhone. Whatever! Here we share the complete guide to WhatsApp backup from Google Drive! First of all, let me show you how you can backup your WhatsApp messages to Google Drive. 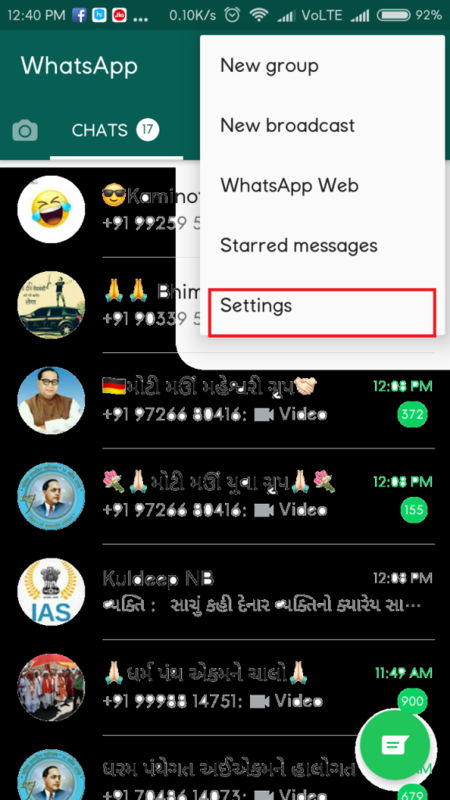 Well, WhatsApp often normally store your everyday chat to your phone as a database on the WhatsApp folder. 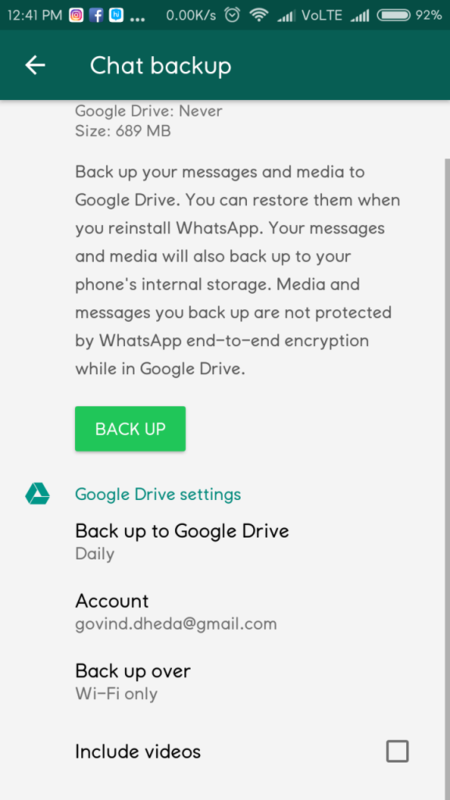 But, you can still use Google Drive to backup WhatsApp if you have uninstalled the app to move to the other Android device. Without wasting much time, let take you to the process! Step #1: Launch WhatsApp on your phone. Step #2: Next, tap the menu icon on the top right of the screen. 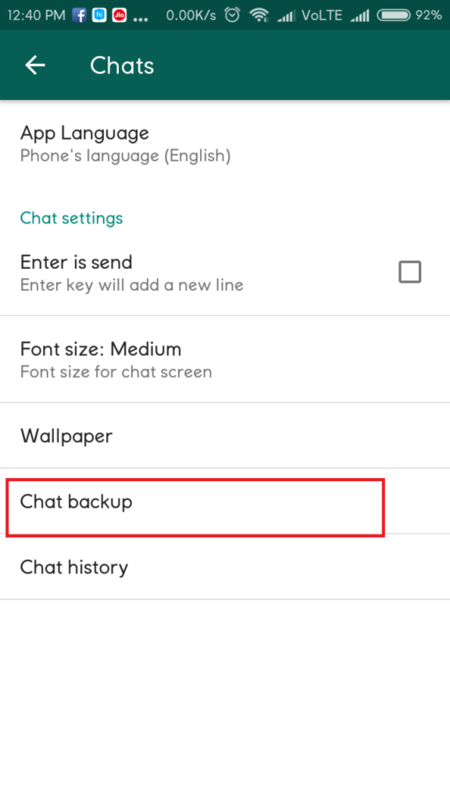 Step #5: Tap Chat backup. Step #6: Now tap Google Drive settings to decide the regularity with which you’d like to back up your chats. Step #7: Tap Account and select the account you would like linked with the backup. Step #8: Tap an account in the list and Tap Add account to add an account not found on the list or to create a new one. Step #9: Tap Allow and Tap Back up over. Step #10: Now tap the circle next to “Wi-Fi” to backup over Wi-Fi only. Tap the circle next to Wi-Fi or cellular to backup via Wi-Fi or wireless data, keeping in mind that you could accrue data charges. Step #11: Tap the box next to “Include videos” to backup video messages and then tap Back Up to manually back your phone up now. Once you follow the above process properly, all your WhatsApp messages and media file will get secure and store on your Google Drive. You can get all your WhatsApp data on phone using Google Drive. Here’s how you can do it! 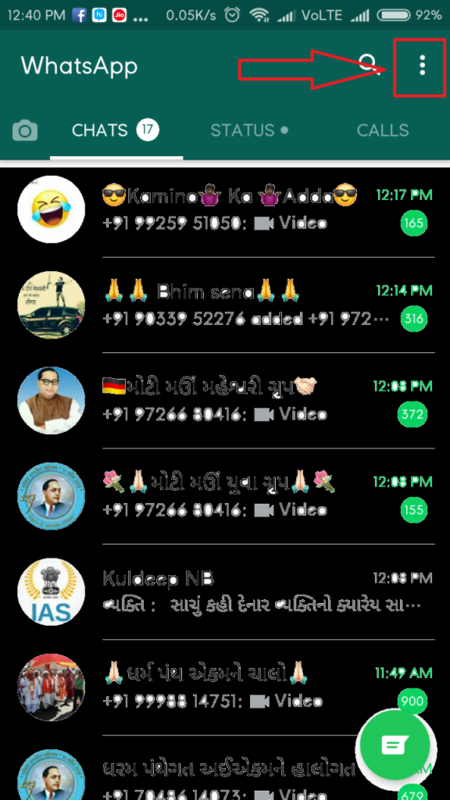 Step #2: Next, open the WhatsApp app and verify your phone number when prompted. Step #3: Once you number verified, tap Restore and then Next when the restoration is done. Step #4; Set up your profile and tap Next at the top right of the screen. Step #5: Tap Continue and wait for a few seconds to back up all your WhatsApp chats. Congratulation on the new phone dear! I guess you want to move all your data from your older device to the new phone. So, here we are! 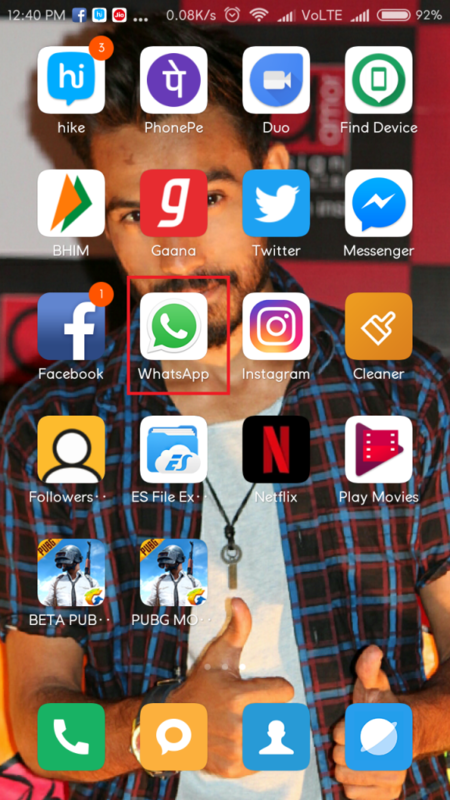 Considering you have already created a WhatsApp backup on Google Drive here we prepared a simple guide to get WhatsApp data on the new Android phone. Step #1: First of all, you should add the same Google account to your new phone that you used to execute the backup on your old phone. Step #2: Next, Install WhatsApp on your new device. 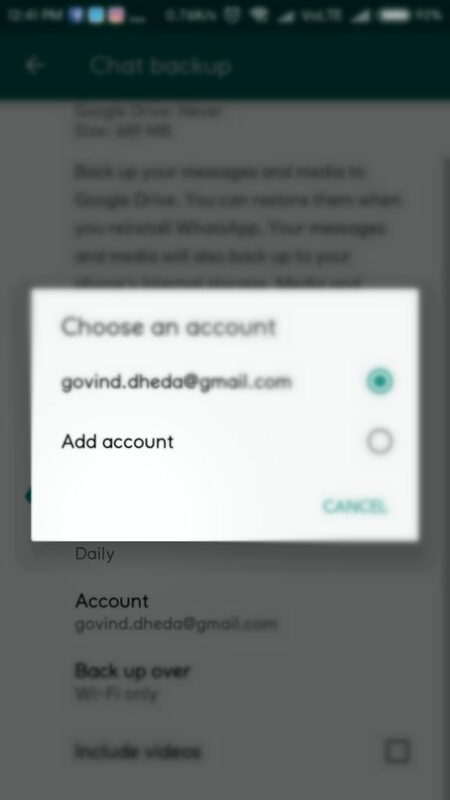 Step #3: Open WhatsApp app and then Tap Agree and continue. 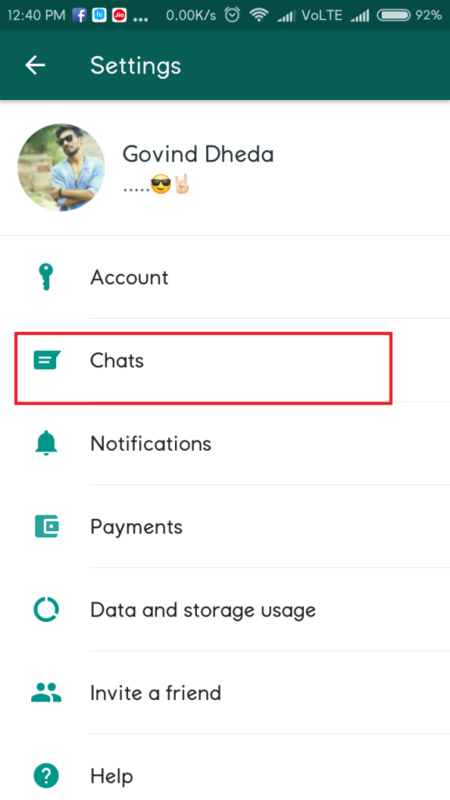 Step #4: Now verify your phone number and tap Restore to restore your WhatsApp chats from your Google Drive backup. Step #5: After that, tap Next to get complete WhatsApp backup. Lost your most important WhatsApp chats or media? Don’t panic! There’s a still way to restore and backup WhatsApp without installing. You can use the top-rated Android Data Recovery tool to recover deleted WhatsApp messages, pictures, videos, etc. Well, these all were the simplest ways to create WhatsApp backup and restore. Hope you have followed the guide properly and successfully restored or backed up the WhatsApp data. While following this guide, if you see any error, you can directly ask for use through comments! If you need any other help related to the tech world, you can ask us as well! Next articleModern Tech and Dating: How Does It Work?